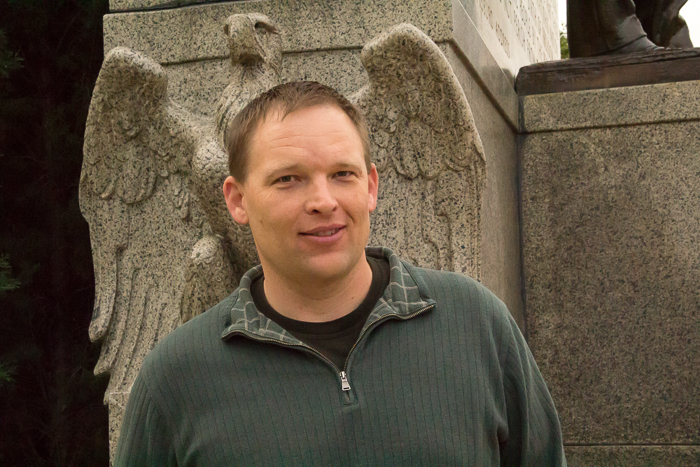 The Office of the CIO welcomes Jeff Timm to support state agency and GIS Council initiatives. The Nebraska Department of Education and the Office of the CIO recently partnered to bring free GIS software and online mapping service through a statewide educational enterprise license agreement (ELA) with Esri. 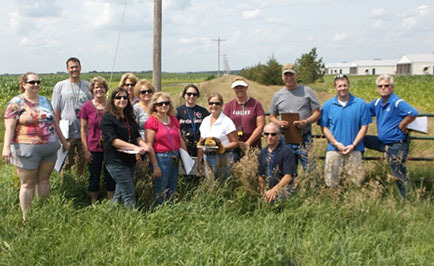 More than 90 teachers participated in summer workshops to learn about GIS and how to incorporate it into the classroom. 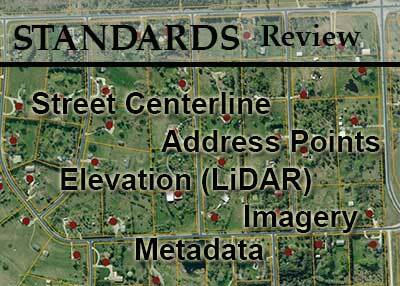 Standards are available for review for Elevation Acquisition using LiDAR, Imagery, Street Centerline, Address, and Metadata standards. 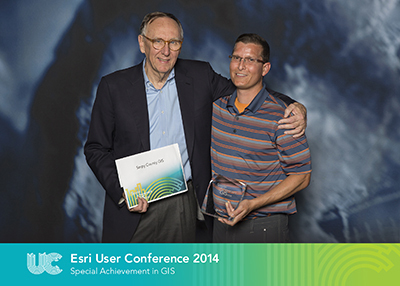 Nebraska's Sarpy County GIS team received the 2014 Esri Special Achievement in GIS Award at the recent Esri International Users Conference. GIS Council NACO representative, Eric Herbert accepts the award. 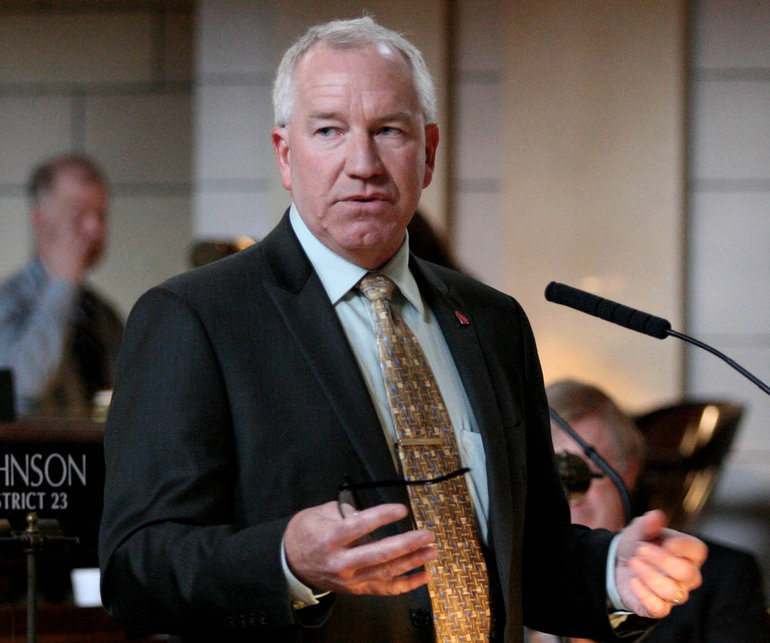 While cognizant of many national technology issues, such as drones and security, Nebraska Sen. Dan Watermeier believes the Cornhusker State needs to concentrate on the basics, like GIS data collection and information-sharing. 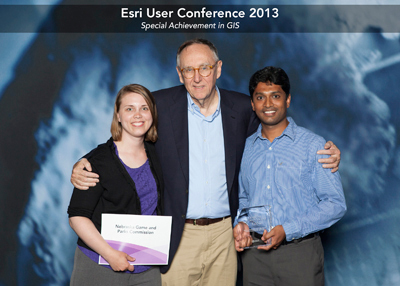 The Nebraska Game and Parks Commission (NGPC) GIS team received the 2013 Esri Special Achievement in GIS Award at the Esri International Users Conference. Elizabeth Vornbrock and Adam Brown join on with the OCIO to provide support to the GIS Council. 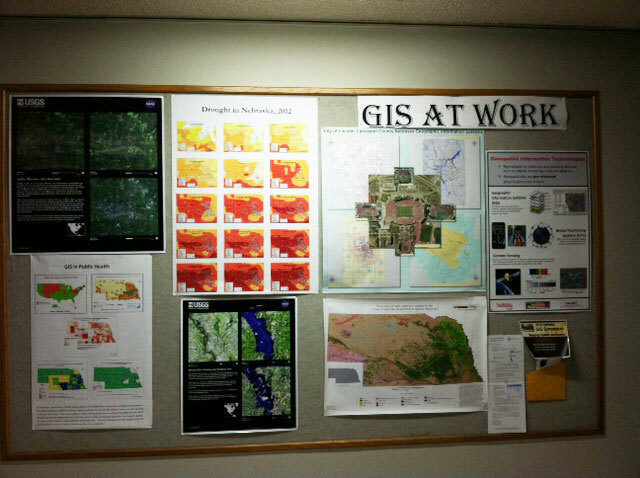 Several GIS Council member's work was on display at the GIS Day Display held at the Nebraska State Office Building from October 24-31. The NITC GIS Council has recently completed their strategic planning efforts. 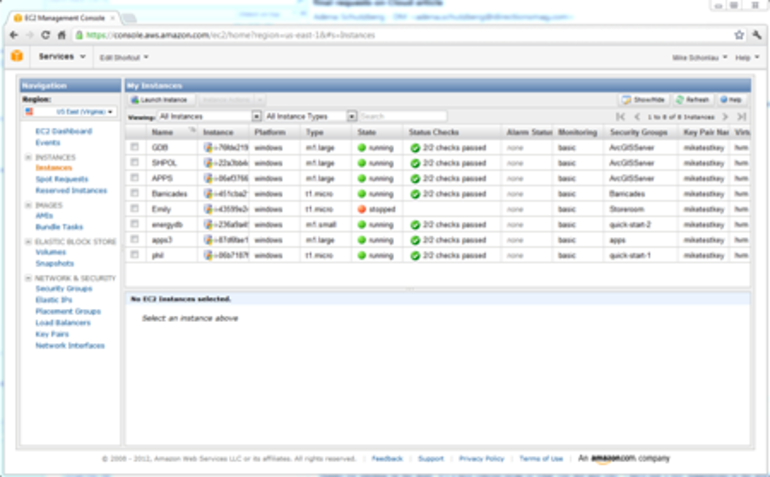 An article titled, "GIS and Cloud: A Match Made in Heaven?" in Government Technology featured one of our GIS Council members, Michael Schonlau, Douglas County. Paul Yamamoto, Dept. of Environmental Quality, passed away from a battle with cancer. 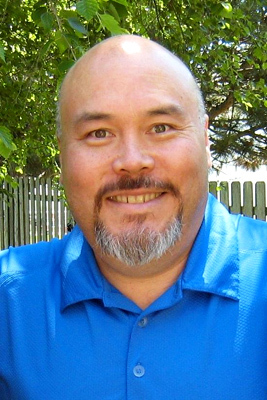 He was a long standing member of the NITC GIS Council, friend, supporter, and advocate of GIS for Nebraska. Tri-County UASI and the Nebraska State Patrol received a Special Achievement in GIS Award at teh Esri's 2012 International Users Conference. Tri-County UASI and the Nebraska State Patrol received a Special Achievement in GIS Award at ESRI's 2012 conference. This award was given to both organizations for their ability to work together and share resources in the GIS environment. 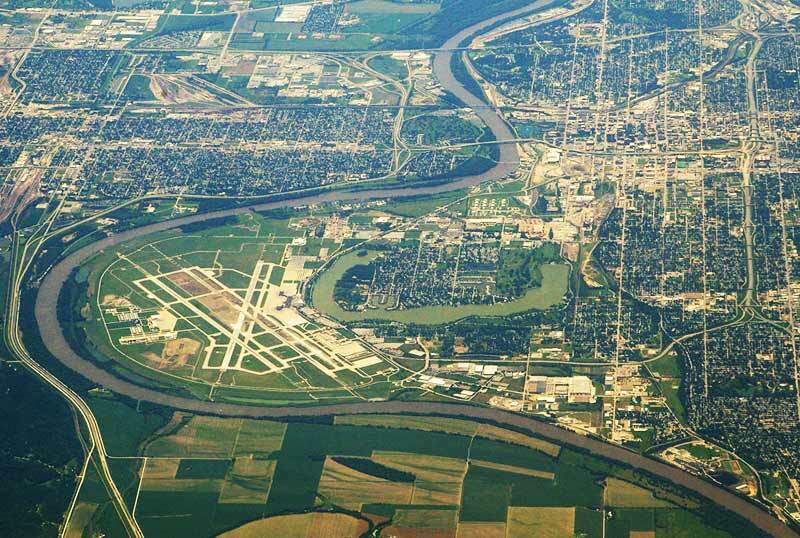 When Tri-County and the Nebraska Information Analysis Center (NIAC) both purchased separate ESRI GIS systems, building hours were given to both organization to be used towards a web map.